Size: 110" x 48" x 36"
Manufactured By: Lancaster Machinery Co.
I’ve used this clamp in my business building custom furniture & architectural woodwork. Nothing better for square & flatter glue ups! Lancaster furniture, sash & frame clamp. 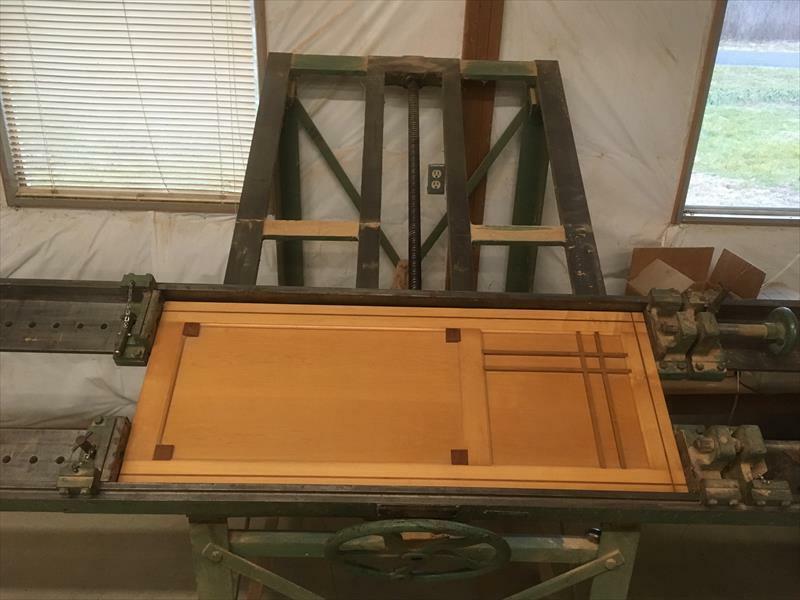 Manual operation for precise clamping & squaring of doors, frames , sash, drawers & specialty furniture glue ups. Capacity is 53” x 108-120"”, manual hand screws for squaring capability. Very good condition. Due to a relocation I am selling all the equipment from my custom furniture business. All are in working order.